We are lucky to live here for so many reasons…beautiful surroundings, great community spirit, and fun year-round activities on Long Island. There are several Fall festivals in the Huntington/Five Harbors Area & Beyond. Old Bethpage- The Long Island Fair ~ September 15th-16th & 22nd-23rd ~ Thousands of exhibits are entered to compete for blue ribbons in categories such as culinary, horticulture, livestock, needlework and hobbies. In addition, a variety of performers and demonstrators will provide traditional entertainment including: musicians, jugglers, magic shows, puppet shows, a mime, contra dancing and craft demonstrations. Skilled lumberjacks will be showing off their talents competing in events such as axe throwing, crosscut sawing and log rolling contests. Band concerts, pony & camel rides, an exotic petting zoo, as well as children's races and games of skill offer amusement in a unique setting. Westbury- Hicks Nursery- Fall Festival ~ September 15th- October 28th ~ Take a picture with Otto the Ghost*, enjoy a hayride down a decorated trail and visit with the farm animals. And while you’re here enjoy our fresh picked apples, fudge, roasted corn*, popcorn*, apple cider, candy apples and other fall treats! Our animated children’s story, featuring Otto the Ghost, leads children and adults through a new story each year that focuses on friendship, family and Halloween cheer. In addition, we encourage children and adults to grow their own pumpkins to enter in our giant pumpkin contest. 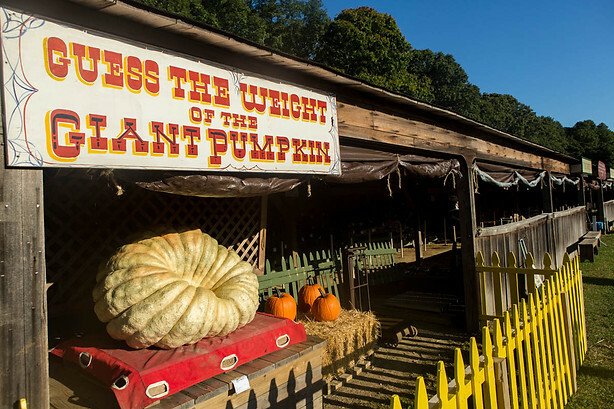 Melville- White Post Farms ~ September 22nd- October 28th - six fun filled weekends and Columbus Day! Admission to The Fall Festival includes: Six Great Shows, (The Great Stage Show, Tricks For Treats Exotic Bird Show, Mutts Gone Nuts, Nick's Kids Show, The Magic of Jim McClenahan, Justin Woods Variety Show), Sing-A-Long Hayrides, Unlimited Use of Our Bounce ‘N Slides, Our Famous Animal Farm, Singin’ Chicken Show, Animal Farm Jamboree Show, Use of our Playground Areas, Use of our Picnic Tables, Play-In-The-Hay, Entry to our Ronnie’s Birdie Landing TM and Poppie's Lorikeet Landing Free Flight Aviaries. Greenport- 29th Annual East End Maritime Festival ~ September 22nd-23rd ~ fundraiser to support the East End Seaport Museum which joins nautical history with merriment. Parade, music, demonstrations, artisan vendors, childrens activities, food, beer and local wines, a sail to Long Beach Bar "Bug Lighthouse" and much more! Oyster Bay- Planting Fields Arboretum ~ Mid-Autumn/Moon Festival- September 23rd ~ festival will be filled with attractive traditional Chinese arts and crafts booths, cultural exhibitions, children friendly activities, pony rides, petting zoo, corporate sponsors and non-stop entertainment. Cold Spring Harbor- Cold Spring Harbor Fish Hatchery ~ Fall Festival- September 29th ~ features Petting Zoo, Castle Bouncer, Pumpkin Patch, Games, Environmental Exhibitors, Food, Live Animal Encounters & Music. Huntington- Long Island Fall Festival ~ October 5th-8th ~ is one of the largest of its kind the Northeast. Filled with vendors of all sorts including food , arts & crafts as well as an international food court with beer and wine tent. Also in Heckscher park is an array of entertainment as well as carnival attractions. Montauk- Montauk Fall Festival & Clam Chowder Contest ~ October 6th & 7th ~ make a day of it and enjoy events of the green including live music, free carousel rides for kids, Long Island Wines & Farmers Market along with the famous Clam Chowder contest. Oyster Bay- Planting Fields Arboretum Fall Family Festival~ October 7th ~ Halloween trick or treat and costume parade, live music with Jerome Smith & The City Sounds Entertainment Band, River of Dreams (Billy Joel Tribute Band), jumbo garden games, pumpkins for sale, pony rides, potato sack races, face painting, watercolor demonstrations and Halloween bounce house. Enjoy food and seasonal beer tastings of autumn with the Oyster Bay Brewing Company! The Oyster Festival offers a fun mixture of new activities and old favorites that are certain to entertain the entire family including live entertainment, ships, top-notch artisans, pirate shows, midway rides, and the iconic oyster eating and shucking contest. And of course...the Food Court, where volunteer chefs and culinary pros work side by side, cooking and serving dozens of unique oyster, clam and other seafood concoctions along with traditional festival fare. Profits from all FOOD COURT sales directly support 25 participating local charities while proceeds from carnival rides and merchandise sales is donated to additional charities supported by the Rotary throughout the year. Huntington- Apple Festival ~ October 14th~ celebrate the season and support the Huntington Historical Society. Delicious apple, treats and so much more for sale. Various vendors will be selling jams, preserves and pickles. Bring old clothes to make your own scarecrow and hop on for a hay ride. The festival will be held at the Kissam house were tours will also be taking place. Oyster Bay- Planting Fields Arboretum- Haunted Halloween Nights at Coe Hall ~ October 19th, 20th, 25th, 26th, 27th ~ Coe Hall opens its majestic doors to present you with Haunted Halloween Nights. Celebrate Halloween and embrace it as your own as you explore this Haunted House, which will thrill you with exciting special effects, frightening ghosts, live music from Jack Kohl, and performances throughout each evening. West Hempstead- Hempstead Lake Fall Family Freshwater Fishing Festival~ October 20th ~ family-oriented annual fishing festival integrates fishing with fall activities, such as a casting for pumpkins contest and pumpkin decorating. The event also includes fly fishing instruction, demonstrations, and outdoor exhibits by local fishing clubs. Children also enjoy an inflatable, pumpkin decorating, face painting and much more! Rain or shine event. Cold Spring Harbor- Witches Night Out ~ October 25th ~ fly down to Cold Spring Harbor for a fun night of shopping and spirits. Come as you are or get dressed up for this special village event.